This is a speaking activity. 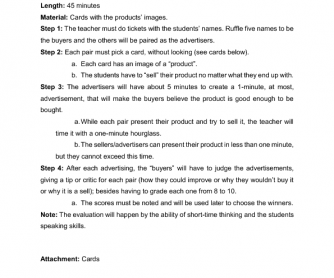 Students must be able to think on their feet in order to sell their products to the "buyers". 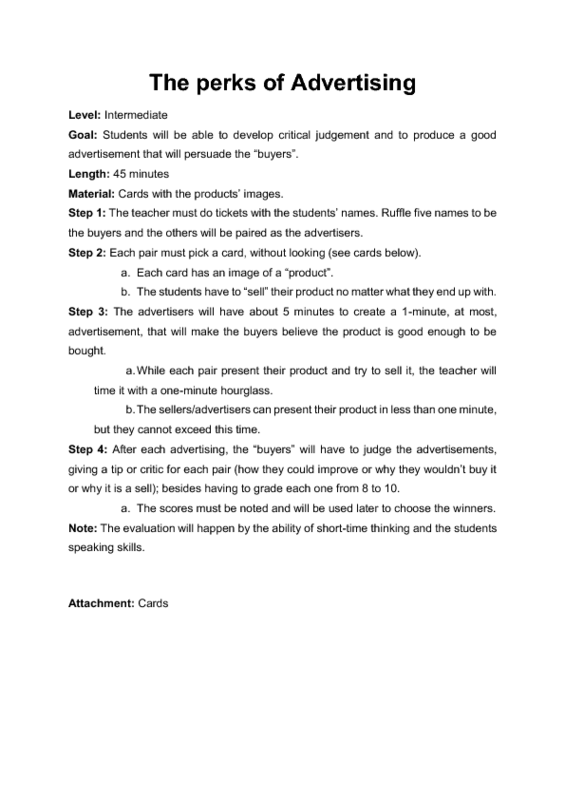 The idea is to use odd products that wouldn't be easily bought to stimulate ss' thinking of the ways to convince the buyers that that thing is really good.